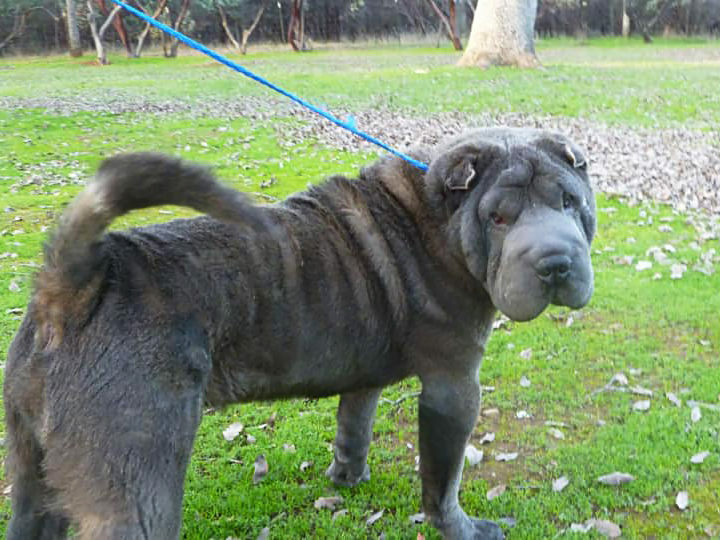 Is California Shar-Pei Rescue a “no kill” rescue? We are a no kill facility. The only time we euthanize is for terminal illness or extreme aggression. We have a kennel building that is heated and cooled and can comfortably accommodate 25 Shar-Pei. 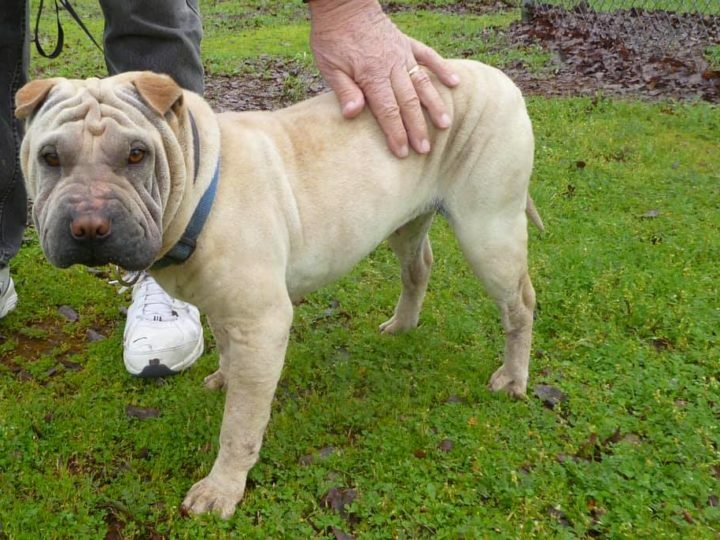 Where is California Shar-Pei Rescue located? We are located on six acres in Redding, CA. Is the rescue open to the public? No, the rescue is not open to the public. We work by appointment only, and only after the adoption application has been completed and approved. 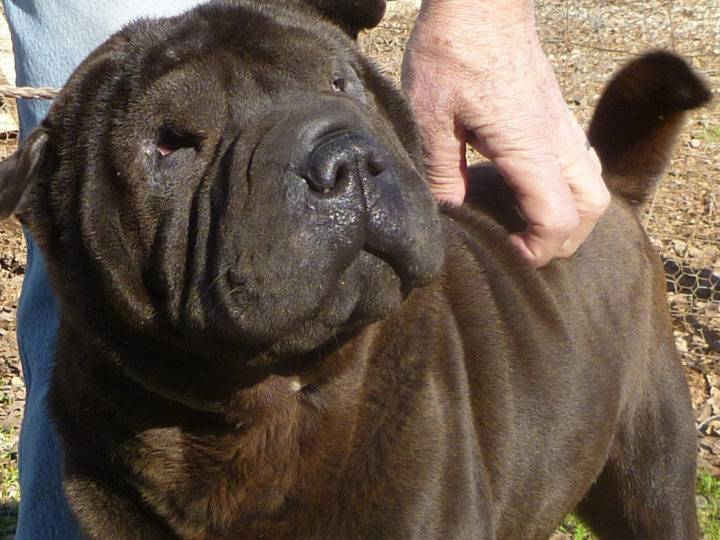 What makes California Shar-Pei Rescue different from other Shar-Pei rescues? We are different in several ways. (1) We do not use foster homes so we know every dog here and what kind of home he/she needs. (2) Our kids are never put in boarding indefinitely where no-one pays attention to them. The dogs remain in our care until they are healthy enough both physically and mentally to leave–they receive all needed vet care before they are adopted. (3) We believe in letting adopters know of any on-going health or behavioral issues. We offer continued support after the adoption whether through us or our network of resources. Our dogs are our “kids,” and we make a lifetime commitment to each dog that is accepted into our program. That means that no matter what, every dog will have a home, whether with us or a new family. They will never feel abandoned again. Why should I consider a rescue dog? Don’t all rescue dogs have behavioral problems? No, all rescue dogs don’t have behavioral problems. There is always a transition period when you bring any new dog into your home. This period is usually quite short as long as you let your new Pei know what you expect from him/her from the beginning. An obedience class is also a good way to help your new dog get to know what you want from him/her and develop the bond between the two of you. I want a puppy because adult dogs aren’t trainable – right? We believe puppies are much more difficult to train than adult dogs. Rescue dogs are so eager to please that they learn quickly what you want. It may not be instant, but definitely worth the time you may spend. Refer to “Myths about Rescue Dogs”. Where do California Shar-Pei Rescue’s dogs come from? We focus on dogs in high-kill shelters that have limited time. What do you look for in a shelter dog? We look for Chinese Shar-Pei adult dogs and puppies that, based on temperament, are good candidates for adoption. We do not ever take human aggressive dogs, or extremely dog-aggressive dogs that might put another dog at risk. Why don’t you rescue every homeless Shar-Pei in need? Unfortunately, we don’t have the room to take every dog. We take new dogs as space allows. Do you rescue dogs from private owners (owner surrenders)? Occasionally we do, based on the situation. Contact us directly to discuss your circumstances. What does it cost to adopt a dog? Our fee is $350 per dog. On average we have spent about $500 caring for each dog that leaves here–some much more. We do not limit what we will spend if the condition can be treated. We must charge a fee in order to help the next Pei that needs us. Can I submit an adoption application if I’m not sure which dog I want? I submitted an online adoption application – what’s next? How long is the adoption process? Please allow up to one week for us to review your adoption application. This includes contacting your references–veterinarian and landlord, if applicable. We will then contact you by phone to discuss the circumstances of your adoption and the dog you are interested in, as well as, answer any questions you may have. Once your application is approved, we will schedule a home visit by one of our local volunteers. You can arrange to meet and take home your new kid anytime after the home visit is completed. The entire adoption process typically takes approximately two weeks. When can I meet the dog I’m interested in? As soon as your adoption application is approved and a home visit has been done. We would like to be sure that if you had a previous pet, it received the level of care that should have been maintained for its well being. A home visit is a scheduled appointment at your home by one of our volunteers. The purpose is to meet you and see where our dog would be living. The intent is to ensure it is a suitable safe and loving environment. We are not there to judge you in any way. Will my dog be spayed or neutered? Absolutely, yes. It is a state law. Can I get a dog I can breed? Absolutely, no. We are trying save the dogs already here, not contribute to pet overpopulation. What if my current pets are not spayed or neutered? In general, we will not adopt into a home where the other animals are not spayed or neutered. We are willing to consider doing so in certain situations, and will decide on a case-by-case basis. Is the dog I’m interested in housebroken, good with kids, good with other dogs, good with cats, etc? Does the dog I’m interested in have any medical problems? We will always let you know if there are ongoing medical concerns. Although, for logistical reasons, we prefer to adopt into homes within the state of California, we will consider out-of-state placements. 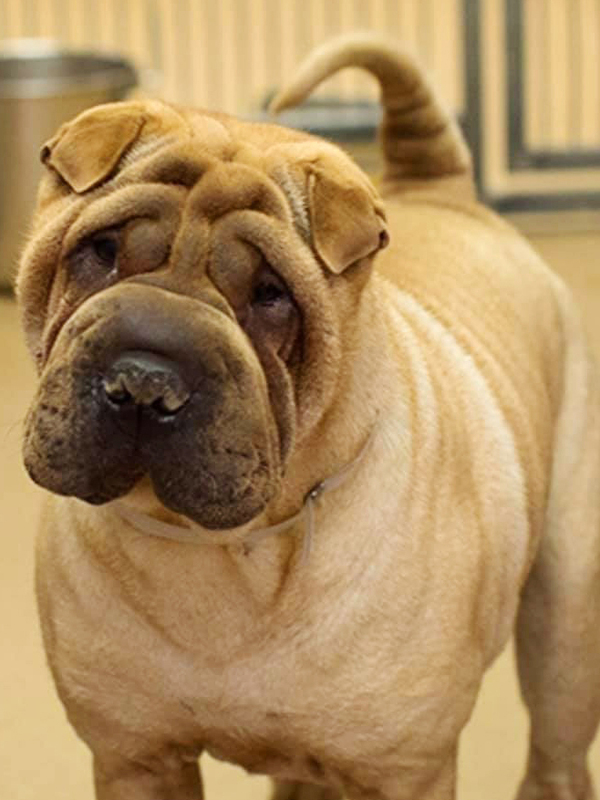 All out-of-state adopters must have a home visit by one of our volunteers, and provide transportation of your Shar-Pei from our rescue location to your home. We do not ship our dogs. Do you ship your dogs? What do I do if the adoption isn’t working out? Let us know–the sooner the better! We will try and help you work through any problems so that you are able to keep your dog. What if I can no longer keep my dog? If, for any reason, you are unable to keep your dog, it MUST be returned to us. You are responsible for transporting the dog back to Redding. What’s the best way for me to support California Shar-Pei Rescue? Cash donations are best. We know what our “kids” need, and can most efficiently and cost-effectively purchase those goods and services. In addition to making a direct donation, there are a number of other ways you can generate funds to support our efforts through your regular everyday activities–like searching the Internet, dining out, and making purchases online. See Support US for more information. Do you accept foster applications? No, we do not use foster homes. We have a hands-on approach, and keep all of the dogs at our facility in Redding, CA. This enables us to get to know each dog, and allows us to make the best match possible for all involved. Can I volunteer my services? Contact us to discuss how you would like to donate your time and talents. Yes, cash donations are 100% tax deductible. Homeward Bound CSP, Inc. (operating as California Shar-Pei Rescue) is a 501(c)(3) registered non-profit.